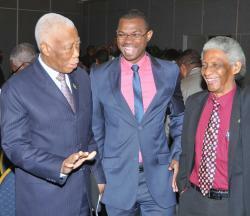 A critical element of the 6th Biennial Jamaica Diaspora Conference, to be held June 13–18, 2015, will be an array of business and social enterprise options, which members of the extended national community can access, says Leon Mitchell, Assistant General Manager, Jamaica National Building Society (JNBS). 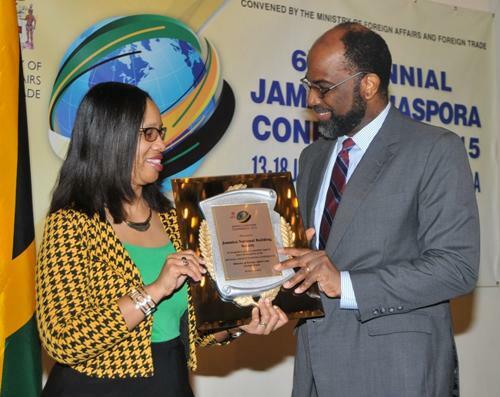 He pointed to the new Diaspora Mapping Project, which began last year, with the aim to determine the location, interest and skills of members of the Diaspora, so that those with special skills and experiences can be more easily located to fill jobs in Jamaica. Another practical enhancement is the formalisation of the process of making charitable donations, which was carried out through the Jamaican Charities Act of 2013. Saffrey Brown, General Manager of the JN Foundation, pointed out that the subsequent development of the Social Enterprise Boost Initiative (SEBI), which she had introduced at the 2013 Diaspora Conference, will be made available to participants at this year’s conference. The three-year initiative, funded by the United States Agency for International Development (USAID), tackles the fall-off in donations and grant funding to non-governmental organizations and civic groups, by building profitable business enterprises in order to support their social missions. Ms. Brown stated that the SEBI has positive implications for those in the Diaspora as it offers opportunities for donating skills and expertise; as well as, providing options for developing partnerships and market linkages. Rose Miller, Grants Manager at the JN Foundation, said one such SEBI partnership opportunity is through the Diaspora Youth Connect project which provides guidance to young entrepreneurs on the island. The Grants Manager noted that youth unemployment is a major problem in Jamaica; and, therefore, this programme, done in partnership with CUSO International, will provide skilled Diaspora members with the opportunity to address this challenge. “Jamaica and the Diaspora need to collaborate closely to ensure that the overall needs of the community are fulfilled,” Mr. Mitchell stated. “Jamaica National plays a pivotal role in its links with Jamaicans in the Diaspora, mounting events, such as the annual Outlook for the Future series, which starts in the United Kingdom in July this year. And, the Society is pleased to assist in fostering some of the new options being developed through the Diaspora Conference,” he maintained.